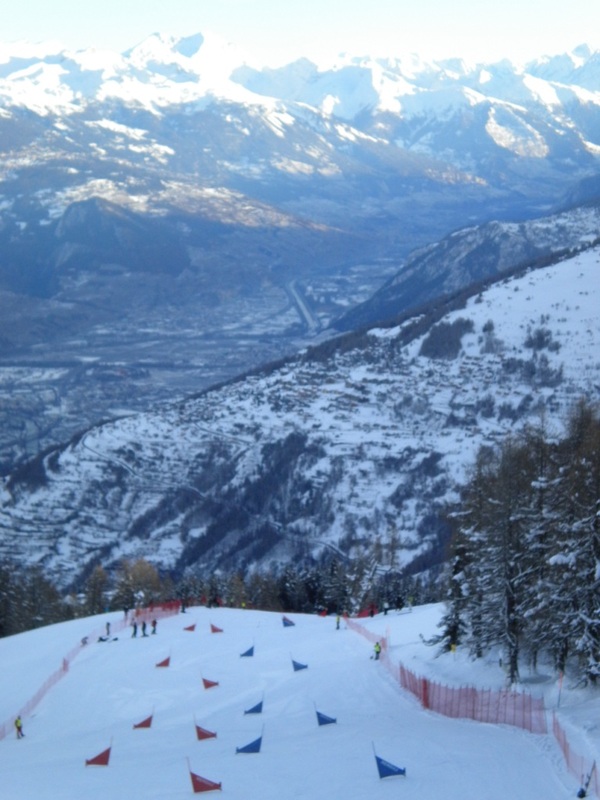 Nendaz, Switzerland – There were a lot of high hopes coming into today. Last training day was great, my body was recuperating and overall I was feeling pretty good. We had done cold baths a couple of times which consisted of sitting in a bathtub of 55 degree water (although I’m convinced it was colder than that; we didn’t have a thermometer) for at least 5 minutes, and while painful at the time, my legs appreciated it afterwards. Everything on my side at least was in alignment. I was in good spirits. This morning had a bit of personal drama that put me in a foul mood and took my mental energy away from what I needed to focus on: racing. I know that mentally tough athletes should not be easily susceptible to such things, but unfortunately this emotional matter gnawed at me relentlessly until I confronted it. I don’t know how much it took away from me; it only consumed me on the rides up the poma lift when I wanted to be in my nothing box. Once I was riding and at the start I was able to refocus on the race. For the qualifications, I was in the last pair again but racing with a fast girl. Because we have similar points, we have been racing with each other for a lot of the season. And while it’s great to race someone that is typically faster than you, it tends to make me take too straight a line which ends up being slower. So my focus today was to keep it round and keep my own line, and look where I wanted to turn above the stubby, and not directly at the stubby. 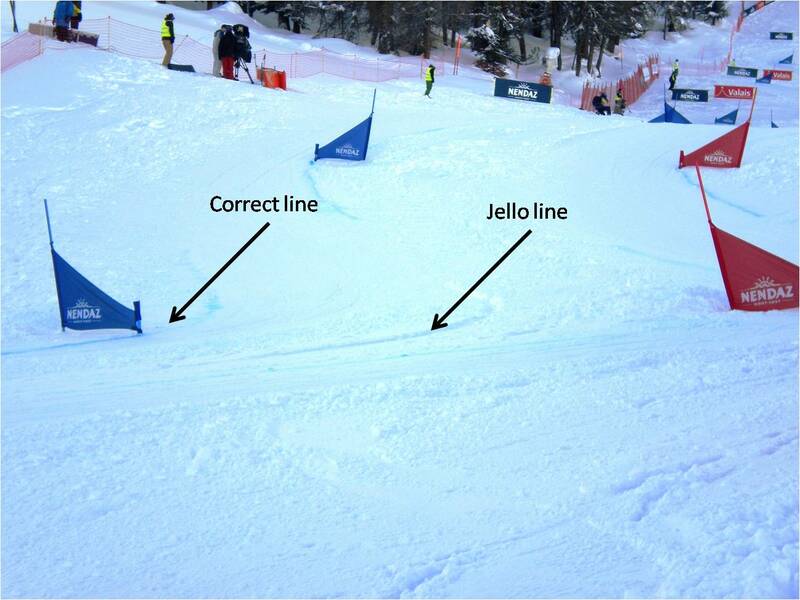 I came out of the start gate but for the first few turns I thought, “My boots feel too loose.” The girl I was racing got ahead of me but I refocused and told myself to keep my own line. I got into a rhythm and started gaining on her but I cranked out a heelside too much in the flats and flung out of line. Now had it not snowed a bunch the night before I might have been fine and able to maintain my speed, but the buildup of slipped out snow from the line was like riding in jello. I knew right then and there that any chance of a second run disappeared just as all my speed had, and I finished the run in a dismal 48th. Another mistake. But I guess that’s what racing is all about; it’s not just about being the fastest, but also about who makes less mistakes and who makes great recoveries. I don’t know if I was in an acceptance mode or what, but I wasn’t in tears. It was a challenging course and I did the best. I can’t be upset about that. With one more race to go I’ve got to keep my head up high and keep moving forward. you can do it eden. keep your spirits high. we are all proud of you here in Philippines. I’m a transplant from the Philippines and am now a snowbum (…well, at least, on the weekends when I’m not bound by corporate America). Will be heading to Vancouver to watch some of the games. I hope you make it and try to spot me with my Filipino flag!! !